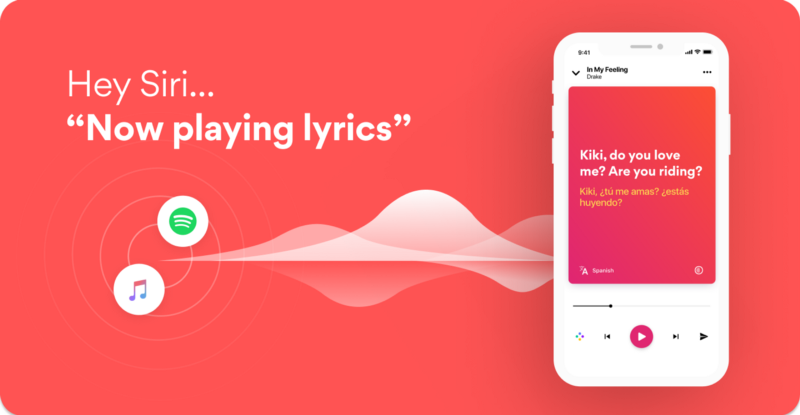 Hey Siri, we love lyrics, and you? Now on iOS12 you can use Musixmatch simply asking Siri, 🖐️ no taps needed! iOS 12 is out and Siri Shortcuts are hands down a game changer. 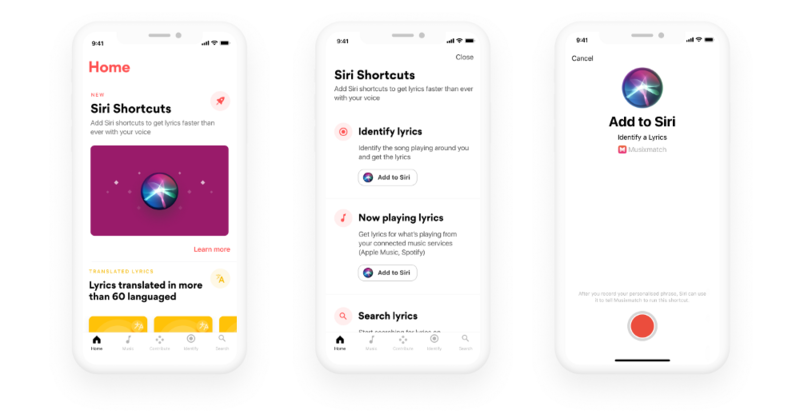 Siri just got a lot smarter, here we are with shortcuts to help you find lyrics even faster. 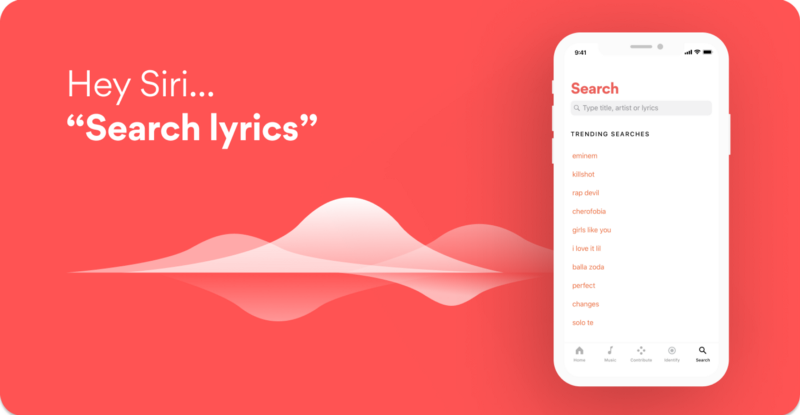 Hey Siri… Identify lyrics — and you’ll get the lyrics to what’s playing on the radio. Yes, it’s that easy! Instead of opening the app just ask Siri, and boom, lyrics are there for you! You can easily set a custom command you like for each action, go to the Musixmatch Settings section-> Siri Shortcuts and tap on the “Add to Siri” button, record your voice command and you’ll be ready to go. You can create more complex shortcuts using Apple’s new Shortcuts app linking actions between different apps. 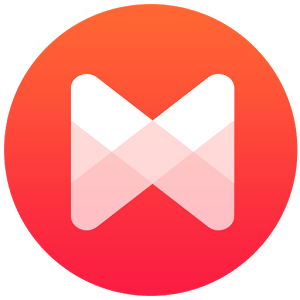 See how we made a custom shortcut with Apple Music and Musixmatch and start making yours. Give a try to our shortcut to Shuffle play from Apple Music and get the synced lyrics, add it to your Shortcut app. Siri will also learn how and when you use the Musixmatch app and then predictably prompt shortcuts on your behalf, even before asking. 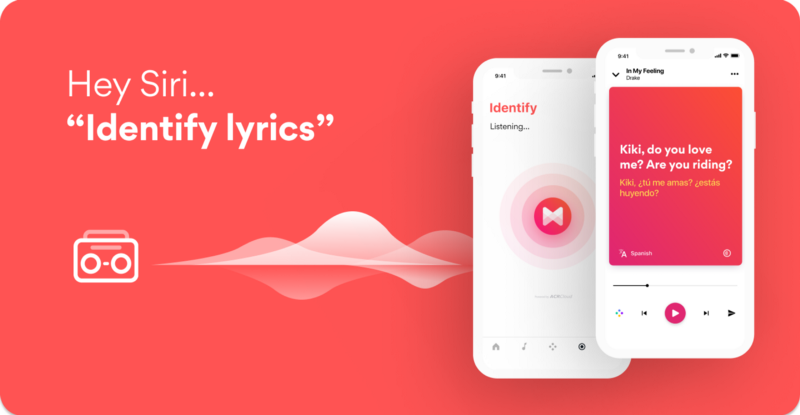 Update to iOS12 and to the latest version of Musixmatch for iOS to enjoy your new Siri Shortcuts for lyrics.